MAD.BEAR 2015 ( 2 - 9 DECEMBER 2015 ) 15th ANNIVERSARY. 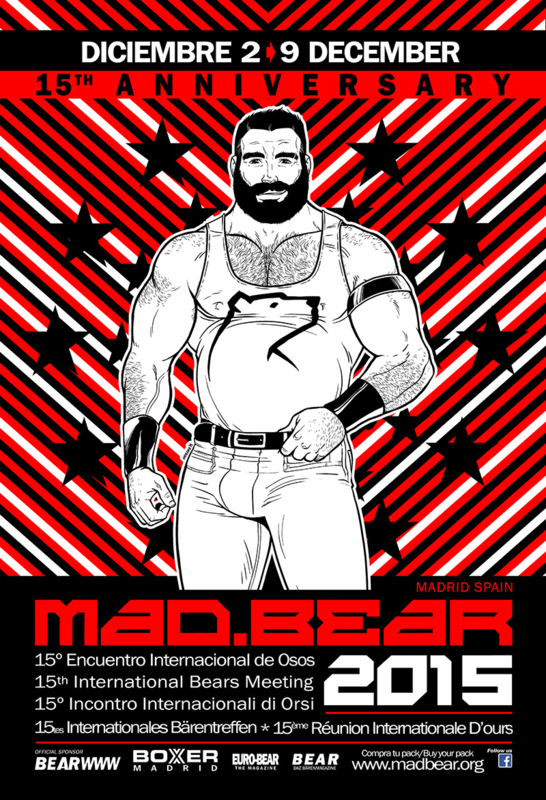 MAD.BEAR 2015 coincides with Spain's biggest public holidays of the year on 6th. and 8th of December. MAD.BEAR 2015 will offer you 8 DAYS and 7 NIGHTS of partying and fun with bar fiestas, club dance parties,the best national and international djs, dinners, competitions, trips, saunas, gastronomy and culture. Last year more than 4000 people joined us making MAD.BEAR Europe's biggest bear event. NOW IS THE TIME TO START PLANNING FOR MAD.BEAR 2015.